Today the Living Science Center at our largest city park posted on FaceBook a tidbit about the Red Bellied Woodpecker and its remarkable tongue. So I googled and read about the tongues of certain birds, some like the Flicker and Red Bellied Woodpecker are truly amazing. I had no idea of such characteristics of the tongues of these birds ( read here==> http://www.hiltonpond.org/thisweek030308.html ) and learned something today. Last edited by boBBrennan; Feb 7, 2012 at 10:00 AM. You had me going through all my woodpecker pics seing if there were any "tongue" pics. I've come to the conclusion that they must keep their mouth shut most of the time. Interesting thing I knew nothing about. It seems to me like Gary T posted a woodpecker shot where the tongue was visible in his open beak. Maybe Gary can go thru his shots and find one. You have a very good memory, Steve! oh God, that is really what Bob and Steve wanted too see Gary. More then great, fantastic is more the word for it. Picture 1 and 2 are my favorite. Thanks, Lordje. Right place at the right time with the right equipment. Interesting info Bob, thank you for sharing. Neat stuff Bob, some of them are really long going into trees looking for insects. 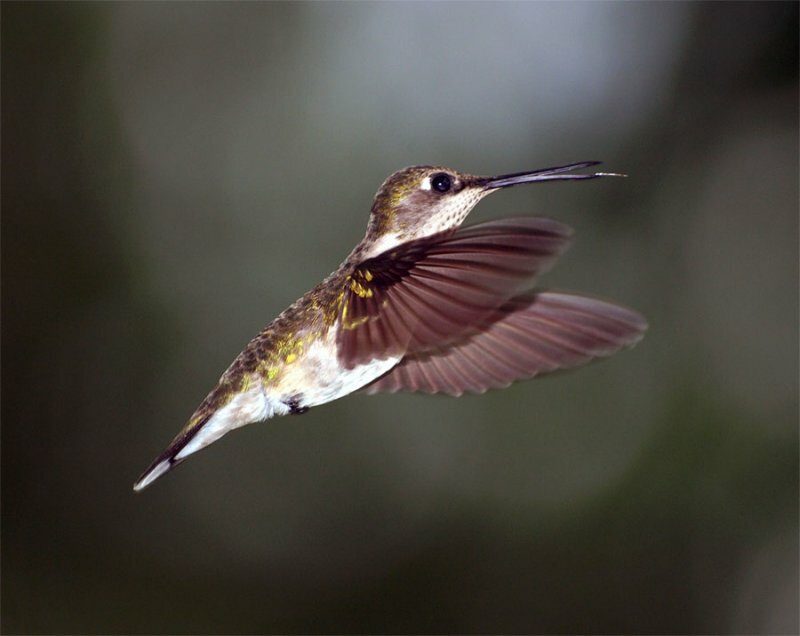 The hummingbird has a long tongue as well. I did get a shot of one of those although not all the way out. Birds with long tongues are pretty cool. ...........well, I've long known of certain frogs, snakes and the lizard families but this was the first time I learned about birds. Nature is interesting. That old article mentions the hummers tongue characteristic for folding into a spoon shape, also something I never had known. Last edited by boBBrennan; Feb 7, 2012 at 1:42 PM. Thank you all - this was very interesting!